French fashion is synonymous with je ne sais quoi. But really, we know exactly why we love French fashion: It’s basic, easy, feminine, and classic. There’s no fuss over trends or the need to always look perfect. The French embrace looking a little undone and stick to a wardrobe of minimal pieces that flatter their bodies. Once we demystify the hype around French style, we are able to make note of specific items to add to our own wardrobes. 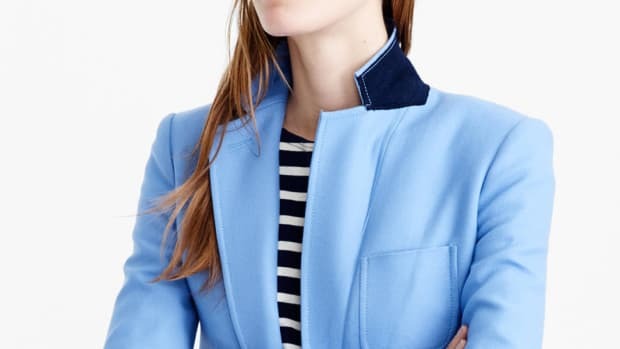 Here are a few trademark French looks that you can wear, too. The French woman is all about mixing her formal and casual pieces. For example, a simple slouchy tee with a structured blazer immediately creates that effortlessly chic look we’re always coveting. This combo is cool, no matter what decade or country. The laid-back T-shirt dresses down the boxy blazer, while the blazer makes the tee look classier. 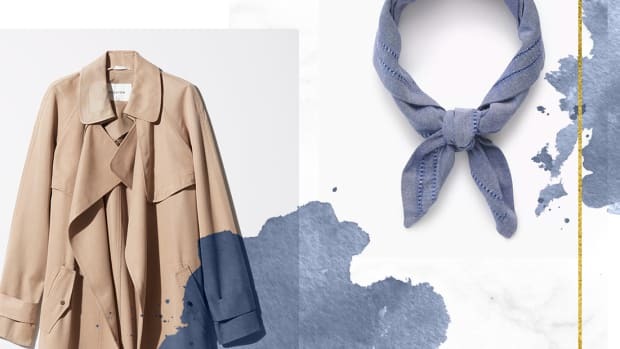 Add a handkerchief scarf to top off the look, and you’re practically a Parisian. 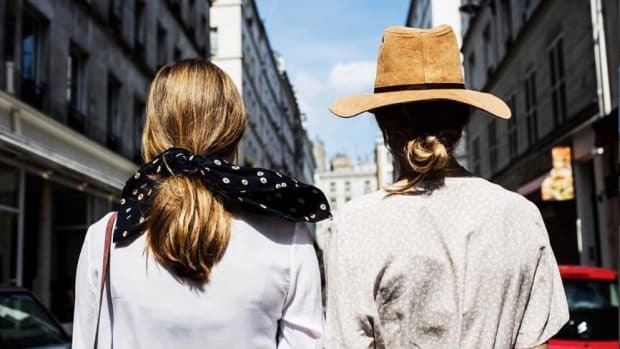 Without a doubt, the beret is the most iconic French item. 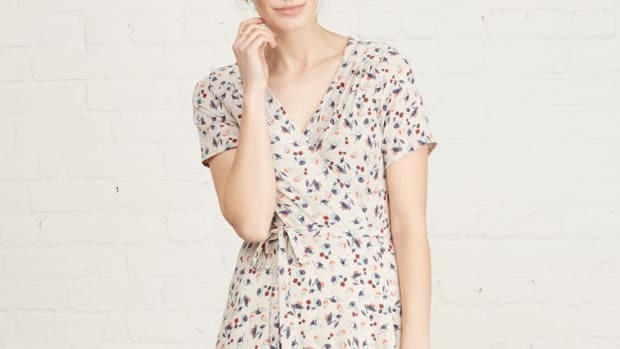 But let’s be real—it’s super-cute, but nobody wants to look like their outfit came from Party City. To avoid looking a little too French, try wearing your beret with a feminine blouse rather than a turtleneck or striped Breton tee. A soft, form-fitting blouse is truly French because of its comfortable yet polished appeal. Because the French primarily choose retro styles over modern and trendy items, try cat-eye sunglasses. Look who’s ready to stroll down the Avenue des Champs-Élysées! For the French, less is more, and we’re all on board. This look is as easy as 1-2-3 and consists of items already in your wardrobe. Style your crisp white button-up the French way with a pair of jeans and heels. Parisian women are known for mixing their feminine and masculine pieces to create an outfit that isn’t trying too hard but looks intentional. The masculinity of the white button-up contrasts with the femininity of the heels, while the denim dresses down the whole look. Have you ever seen a true mademoiselle in a tight body-con dress? No way! Always opting for comfort, she wears soft, deconstructed dresses that highlight her curves without constricting them. The billowing, lightweight fabric of the relaxed A-line silhouette is perfect for the countryside or a day in the city. We couldn’t forget the Breton tee. 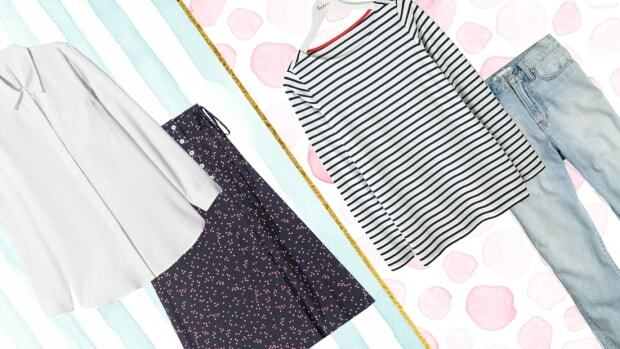 It’s amazing how stripes can transform a plain cotton tee into a fashion statement. Both bold and comfortable, this striped staple is surprisingly versatile and ideal for the French, who have minimalist wardrobes. Adopt this tee into your wardrobe for a look that is distinctly French but not contrived. A whole outfit in one simple step! Bring the Riviera to you! Channel your inner Parisienne to beat the summer heat. These easy items will last for years. Just in time for your holiday parties.